When ever I used to read about the Kimono trend I would wrinkle my nose, I didn’t think it was for me. I thought I would look as if I was wearing a dressing gown! Or that a kimono would swamp me? As with any trend it is all about adapting it to suit yourself, your personal style and your body shape. Those colours! Yellow and blue with black. 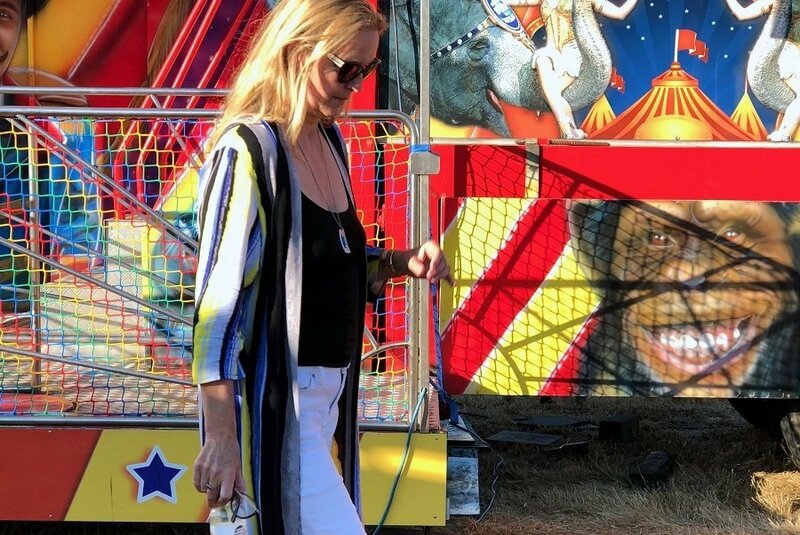 These photos are Iphone snaps from a recent summer evening at a local fairground. I thought it would be nice to share with you, to emphasis that I do wear my clothes more than once! In actual fact I have been living in this one, just right to wear in the evenings , with those summer breezes. I’m also living in dresses, I am finding they are the coolest things to wear right now. 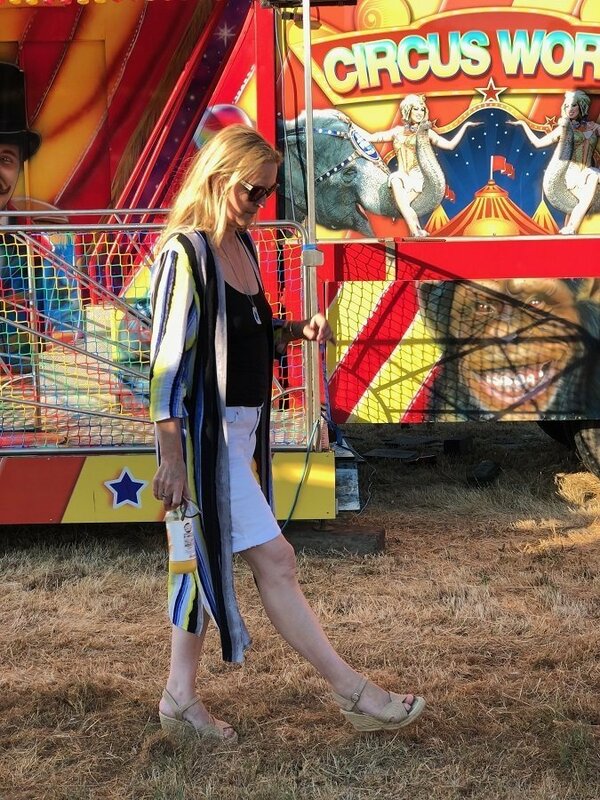 This is the original post I wrote when I wore my Kimono out for a casual sunday supper Boho Style! July Post you may have missed? 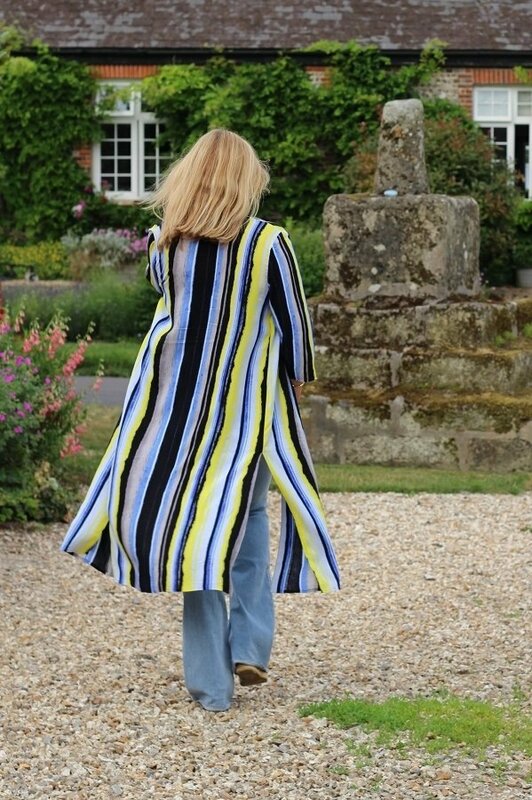 I used to love a good duster coat! Back in the eighties it had to be white! Helloooo and thanks Laurie, yep this is on repeat for the rest of the summer i think! Great minds think alike, Ashley because we are wearing them on my blog too!! I have grown to love them, as they seem so perfect for the summer!! 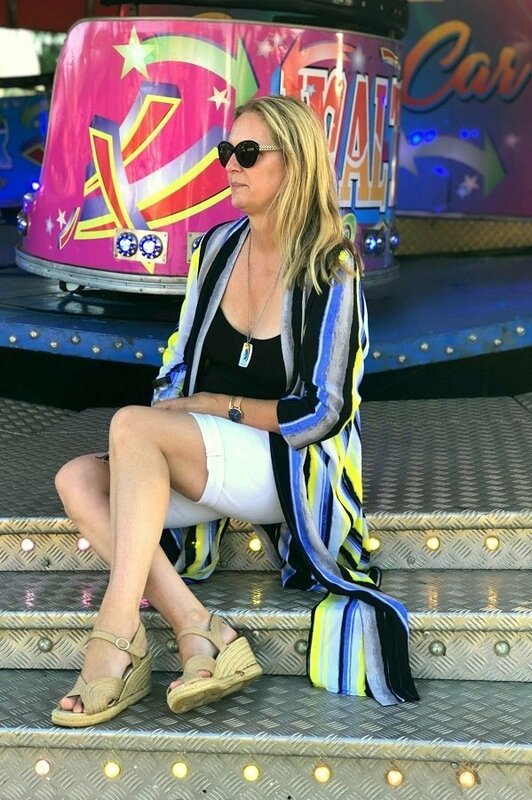 oooh i will take a look at yours, lets spread the kimono love eh? 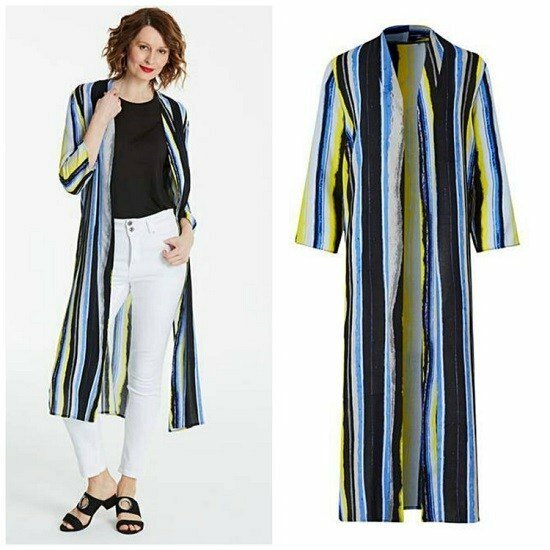 I’m a huge fan of longline cardigans and coats, and a lightweight kimono like this is SO good for summer. They just make anything look streamlined, and they’re good for hiding my bulgy bits that I’m not super confident about right now! You look fab as always (plus: SHORTS. Wow). I’m actually amazed at how close our styles are, I would wear nearly everything you wear Ashley my lovely! Haaa Catherine I love that you think that, because I would wear everything you wear too! In the last few years I bought a couple but haven’t worn them very much. A little here and there. But now they seem to be everywhere! I went shopping the other day and bought two long ones and two shorter ones and love them! I’ve worn the two shorter ones. Haven’t had a chance to wear the longer ones yet. I have a box of shoes that are ready for the garage sale pile but you make me want to keep them! Ha! The theme for August of The Good Buy/Good-Bye Book is kimono’s! Join us! I haven t got a kimono, so have to shop for one! Hi Nancy you can borrow mine!